Mitch Evans secures his first win of the season in Rome; HWA Racelab's Stoffel Vandoorne brings home both his and his team's first podium finish of the season. Halfway into the season, the 2018-19 ABB FIA Formula E championship keeps throwing new surprises and twists: The Rome E-Prix, the seventh round of the season, saw this year's seventh different polesitter and the seventh different winner, from seven different teams, no less. 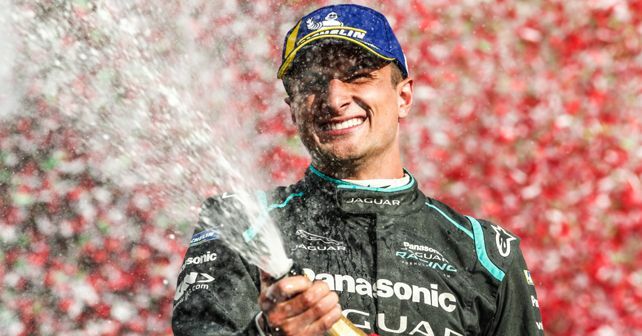 This round's winner, Mitch Evans, gave his team and himself the maiden win, followed by polesitter Andre Lotterer (DS Techeetah) and Vandoorne in third. With a good advantage, Lotterer managed to pull away from Evans and Lopez. While all the cars were running downhill, Lopez' teammate Maximilian Gunther slid through Turn 8, sending him into the barrier. Moments later, Lopez himself struck Sam Bird (Envision Virgin Racing), sending him into the wall while he himself limped back to the pits. However, as it turns out, Lopez was hit by Gary Paffett (HWA Racelab) first before rear-ending Bird. The chain accident also took a toll on DS Techeetah driver and defending champion Jean-Eric Vergne, who crashed into the back of Paffett. With a major pile-up left to clear for the race marshalls, the race was immediately red-flagged with 42 minutes left. However, once the race restarted, Lotterer managed to pull away from Evans and third-placed Vandoorne. With 16 minutes left in the race, Evans made good use of his Attack Mode and used the additional boost to pass Lotterer on Turn 11. This manoeuver sealed the fate of the race as Evans went on to finish the race in first, crossing the finish line with just two per cent battery left. Mahindra Racing could definitely have asked for a better day as the duo of Wehrlein and d'Ambrosio secured tenth and eighth places, respectively. Likewise, Venturi Racing saw both its cars out of the competition, with the hopes of a points-finish dashed completely.